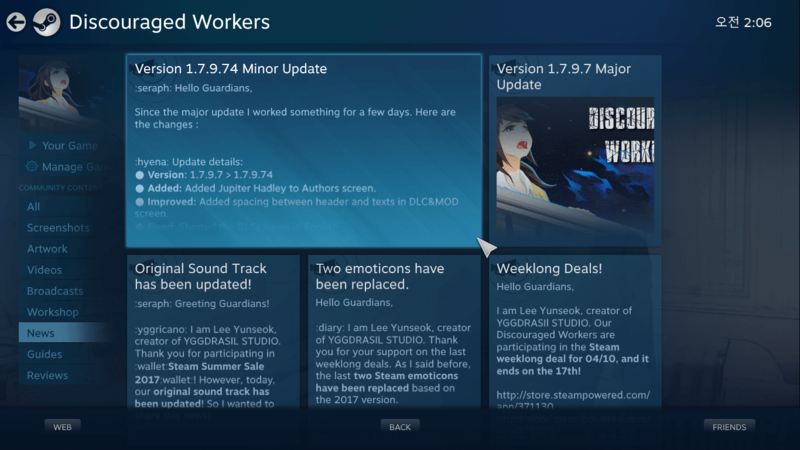 Post news Report RSS	Version 1.7.9.74 Minor Updated on Steam. Since the major update I worked something for a few days. Here are the changes. Important: This minor and the last major update is currently only available on Steam. Added: Added Jupiter Hadley to Authors screen. Improved: Added spacing between header and texts in DLC&MOD screen. Fixed: Shorted the DLCs name in English. Improved: Now the window-title will display your current language title, also immediately when you change the language. Improved: Some codes has changed for MOD feature. Removed: Tooltip in the DLC screen. 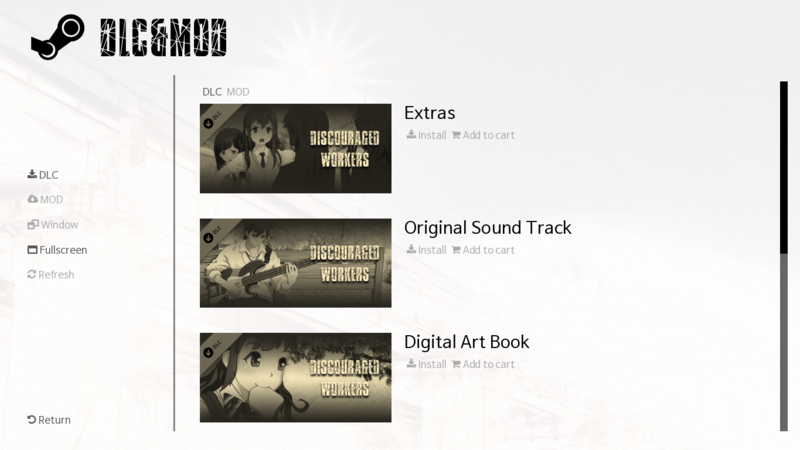 Added: New DLC boxes in the DLC screen. Currently I am working for an official Steam Guide. 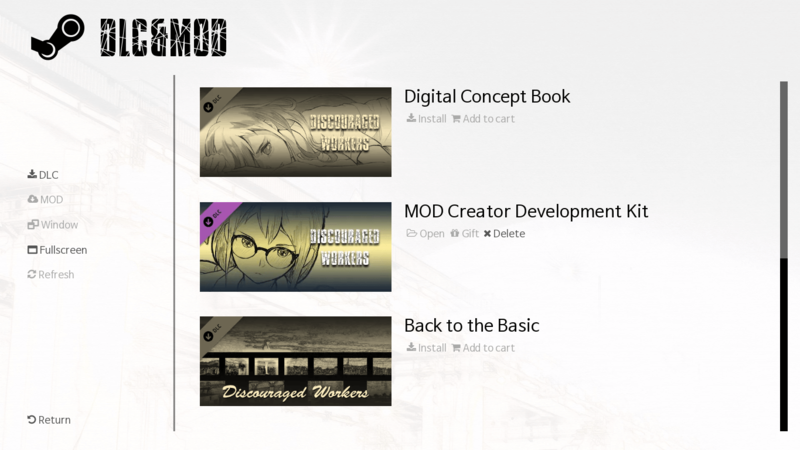 The source code of Discouraged Workers will be published with the release MCDK and the guide. Thank you for your time. Then, see you soon.